Expectations - Clients expect at least half of the candidates to be recommended so the actual percentage is low compared to expectations. The actual percentage depends on the level of difficulty for the role and the custom requirements specified by the client. See the normal range of recommended sales candidates. Compensation - Clients often set the difficulty level of the job really high, hoping to get an extremely strong salesperson. But they fail to change the compensation, keeping it the same as what they were paying mediocre salespeople. The result is that only mediocre salespeople apply for the position and when the strong ones don't apply, they can't take the assessment or get recommended! Customization - Clients go crazy specifying custom criteria and then they don't include the criteria in the job posting. Then mediocre salespeople apply for the job and don't meet the criteria in the assessment. The requirements should be included in the job posting! Contradictions - Criteria that only a strong, experienced salesperson could possibly possess is included in the job posting. But so is compensation consistent with a mediocre salesperson. Result? A reduction in the overall number of candidates because the pool of candidates who meet both the criteria AND can live with the limited compensation is very small. Industry-Specific - Many executives still believe that their next salesperson must come from their industry. For some reason, the very people who feel that way, tend to be from the industries that have the worst salespeople. Nobody gets recommended! Profiling - (I know the title said "Top 5", but it sounds better than "Top 7".) Clients create an image of the salesperson they want that makes it sound like profiling. They want someone young (not EEOC compliant, of course), with a degree, 5 years experience, motivated, energetic, memorable, attractive, well-dressed, professional, trustworthy, and polished. 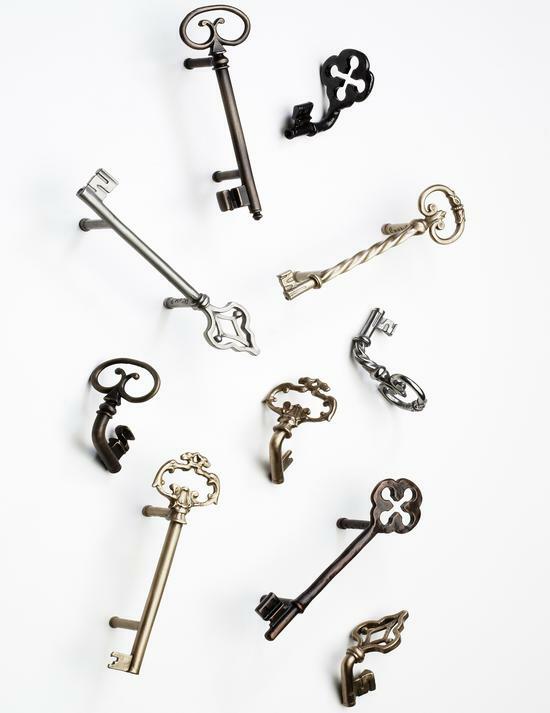 What does all that have to do with selling effectiveness? 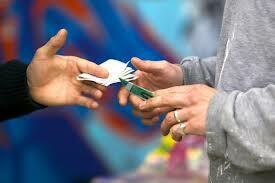 The only one of those 11 items that will impact sales is whether or not they are trustworthy. Of course, the posting attracts the very candidates that are like this and the wrong salespeople send their resumes and most aren't recommended! Bad Memory - Clients quickly forget why they chose this assessment in the first place. They were sick and tired of hiring salespeople who don't work out. Better to identify the right salespeople in the first place rather than roll the dice. That good, confident feeling lasts about a month and when the position isn't filled, they long for the good old days when they could fool themselves for a few months while they hope that their latest gamble pans out. If you want better salespeople, you need to do the work to make sure you attract better salespeople. You must also exhibit patience while waiting for the right strong salespeople to come along. They may not be in your first or second round of candidates. Don't forget to register for Wednesday's Webinar, Leading the Ideal Sales Force Part 2. I'll be hosting along with my panel of sales experts. We start at 11 AM Eastern and it will run no longer than 1-hour. 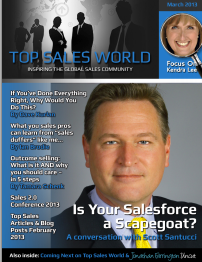 I wrote an article for the March 2013 issue of Top Sales World Magazine that debriefs an actual sales call. I've written more than 1,000 articles and I believe this one is the best yet! The article effectively details an actual value-added consultative sales call which, because of a single incorrect question, quickly became a transactional, commodity-based, price-driven call. The example is really striking because it so clearly shows that you can do everything correctly but asking even one question the wrong way can cause a salesperson to lose the opportunity to be a trusted advisor, and fall into the abyss of commodity sellers. You'll have to get this month's issue (existing subscriber link) or sign up to read it. It's on page 7. The bonus is that there are 12 additional articles you can read after you download the issue. The magazine will open in a separate tab or window so that you can return here and contribute your comments. There should be a lot to share! Got you on that title, didn't I? Did you ever find yourself in a position where you needed to hire salespeople? Of course you did. Did you use Objective Management Group's (OMG) incredibly accurate and predictive sales candidate assessments as part of your filtering and selection process? Perhaps you did. Did you decide to augment the candidates whom you were finding and hire a recruiter? Perhaps you did that too. That's when all the fun starts! Recruiters think that all of their candidates walk on water. Clients think that because of our assessment, quality advice and guidance that we walk on water. So the recruiter sends 5 of the best candidates ever to the client, who has them assessed, and 3 are not recommended. The recruiter is upset, "Why are you using that stupid assessment? You don't need that! I know these candidates and they're awesome." We simply explain to our client why the recruiter has such a high opinion of the candidate (they represent a commission) and why we don't share that opinion. There are always excellent reasons why a candidate may not be recommended for a particular client, and in some cases, for any client. The client feels stuck between a rock and a hard place. It's just like the title of this article. You hurt your back and feel tremendous pain. Your doctor tells you that you'll require surgery to repair a bulging disc. He suggests bed rest until the following month's surgery. A friend introduces you to his brother-in-law's, girlfriend's, cousin's nutritionist, who has a yellow pill that will make all of your pain go away. Today. Right now. Decisions, decisions. Do you listen to your doctor who knows what's best or go for the drug dealer's quick fix? To complete this sales analogy, OMG is the doctor, the recruiter is the drug dealer and the client is the user. It's so easy to get and take the drug for temporary relief. It's only money. But the surgery provides the proper long-term solution. If you take the drug (recruiter's candidate) which wasn't recommended by the doctor (OMG), you'll be back for more when the euphoria wears off, realizing that you still have the disc problem (ineffective salesperson) and ultimately need the surgery (be selective and listen to the expert advice). I don't mean to upset recruiters, but let's face it. They don't go nearly as wide and deep on their candidates as we do. Most aren't sales experts, and really don't know if the salesperson who succeeded at XYZ can succeed at ABC. We, on the other hand, do know and can show you why, explain the science and provide accurate advice 95% of the time. The doctor or the drug dealer? The choice is always yours! Use this free tool to calculate the cost of your sales hiring mistakes. If you aren't already an OMG client, you can get a free 72-hour trial of our award-winning sales candidate assesment. 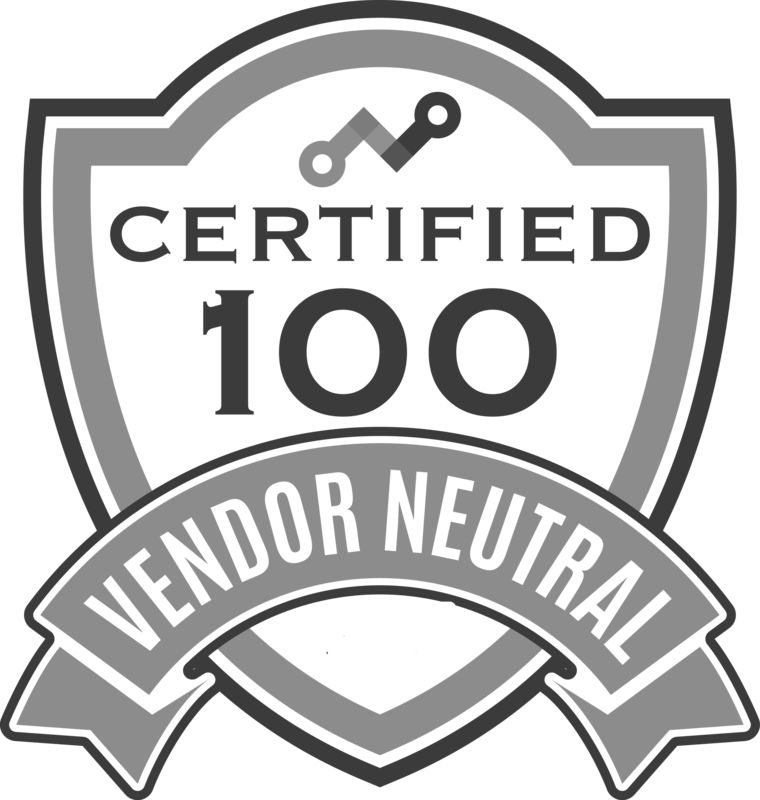 OMG was awarded the Gold Medal for Top Sales Assessment Tool in 2011 and 2012. And if you'd like to see what hiring salespeople looks like when you work with us, compared with doing it the traditional way, check out this infographic. OMG clients nearly ALWAYS renew their candidate assessment licenses unless they are hiring just one or two salespeople, after which time they are done - they find who they are looking for and then they are finished hiring. Companies that hire salespeople on an ongoing basis always renew their licenses because the salespeople they hire with our assessments are much more effective. He told me that the reason for not renewing was that the assessment did not correlate with their performance. Seriously? Our top-rated, highly-predictive assessment didn't predict success and failure? "Send me the names and the outcomes". I reviewed everything he sent me. He gave me their names along with their scores for the OMG Assessment , Predictive Index Assessment, Industry Knowledge, Industry Experience, Group Interview and Performance Results. Each score was rated on a 1-3 scale with 3 being the best. 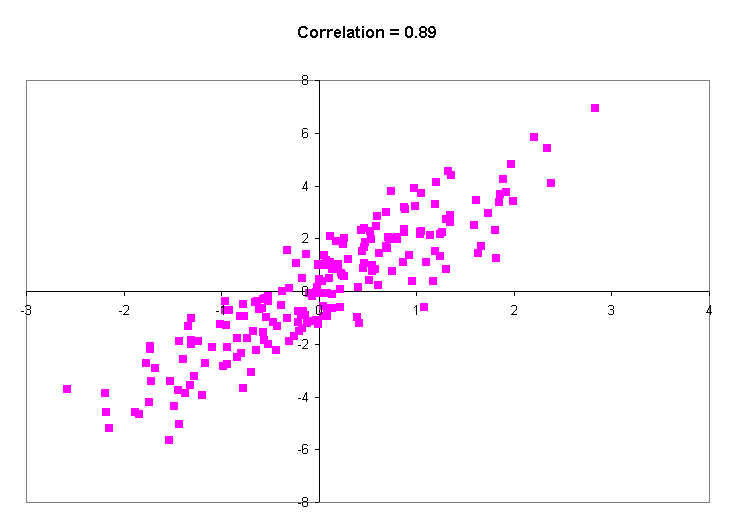 Face value correlation alone isn't enough. At OMG we have a mantra that we expect our clients to follow. A candidate that is "Not Recommended" should never be hired. A "Recommended" candidate can easily become a "No" based on their phone interview, whether their experience meets your requirements, and how well they perform during a face-to-face interview. "Recommended" is not a license to automatically hire without further due diligence. It is simply a recommendation that the candidate belongs in the pool of candidates that move to the next step. This client was hiring candidates that were not recommended! 1 3 1 Candidate's Assessment showed that while she had strong DNA, she is an excuse maker, isn't motivated by money, and had zero skills other than top-of-the-funnel skills and had will prospect as a weakness. It was there in black and white that while she met the criteria, Salesperson #1 would not build a pipeline or move opportunities along! 2 3 2 Assessment was nearly identical to Salesperson #1 but with additional skills that went beyond top of the funnel. 3 3 1 Assessment showed that he lacked direction - no goals, plan, tracking and would be unable to work independently. He was assigned a remote territory! 4 3 1.5 Assessment also showed will prospect as a weakness and not money motivated and 7 of the 10 skills we identified were top of the funnel skills. Like Salesperson #1, Salesperson #3 would not build a pipeline or move opportunities along! 5 2 1.5 Salesperson #5 was assessed twice - the first time not hirable, the second time with a huge red flag saying less than ideal. 6 3 1 Salesperson #6 had the lowest group interview score, industry experience score, and the lowest overall score of any candidate. That correlated with the assessment's finding showing his inability to develop rapport early in the process. 7 1.5 2 Salesperson #7 met expectations only because of how likeable she was and her high scores in food service, and industry experience - she had a following. She would have been more successful, but as the assessment showed, she wasn't a hunter, made excuses, wasn't money-motivated, and had zero selling skills other than her top-of-the-funnel skills. Conclusions: Inclusive of our recommendations not to hire, and the warnings and skill gaps associated with recommended candidates, the assessments accurately predicted the results in 16 of 17 cases between 2006 and 2010 - a batting average of 96%. In the 17th case, Salesperson #6, the client failed to follow his own hiring process and would not have hired the individual based on his non-OMG scores. The client assessed 2,500 candidates over this time period. As a result, they were saved from having to speak with at least 2,300 candidates. If they spent just five minutes reviewing 2300 resumes (191 hours) and ten minutes on the phone with one third of the candidates (126 hours), the assessment saved them 317 hours (two business months) of manual filtering. If they value their time at $100 an hour, the license more than paid for itself in the value of time saved over five years ($41,700). Monday morning quarterbacking is easy if you take the time to do it. I chose to take the time. This client is probably similar to many clients who either don't read the warnings, or don't factor the warnings into the decision-making process for bringing a salesperson on board. The warnings were certainly incorporated into the development plan or accountability requirements for success. How much hand-holding will they need? Will they fill the pipeline on their own? Will they be able to move opportunities through the process? Will they be able to generate urgency? Will they be able to close? Will they take short cuts? Will they be ineffective because of weaknesses? How long will it take them to ramp up? It's all there - it's all accurate - it's all predictive - one just has to read it! If you compromised on the assessment profile and didn't insist on it recommending only the strongest salespeople, you'll have 6 more flavors like those above, only they will be showing Weak Sales Skills. If you're a regular reader, you know I have sometimes written about other assessments and how they fare when they go head to head with Objective Management Group's Industry Leading Sales Force Evaluation tool and Sales Candidate Assessments. Today, another one of those attractively packaged, inexpenisve behavioral styles assessments challenges OMG's highly predictive, insightful, sales specific champion. How will this newcomer fare? Well, the marketing and graphics on the cover are great. After all, how can you beat a report title like "The Seven Habits of Highly Successful Salespeople"? But from there? Pretty standard behavioral styles findings. Let's compare a few, shall we? Their #1 is what they call Being Your Own Ally - It's very similar to what we call Record Collection or one's collection of Self-Limiting Beliefs. Objective Management Group's data on 1831616 salespeople assessed to date shows that 77% of the top 5% of the sales population have a supportive Record Collection while none of the bottom 5% do. The problem is that while we are measuring sales specific beliefs, they are measuring general positive thinking, more closely aligned with what we call Outlook. 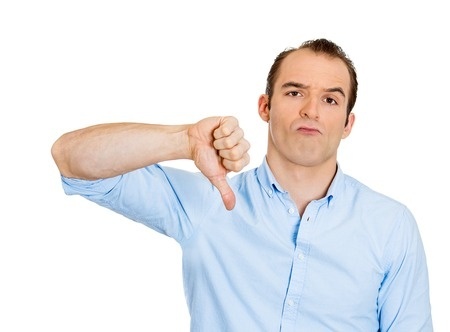 Not only is there little difference in the Outlook of strong and weak salespeople, MOST sales candidates (possibly in between jobs) have a Poor Outlook. Their #4 is the Ability to Develop a Compelling Story - This IS a differentiator between good and bad salespeople - only they have it backwards! The bottom 74% have perfected the ability to present capabilities, value proposition, the brand promise and other pitches. The top 26% have perfected the ability to ask good, tough, timely quesitons. What good is the story unless you can tie it to the problems uncovered by effective questioning? Their #3 is Prospecting but even 31% of the bottom 5% of the sales population prospect consisently! Their #2 is something called Maximizing Return on Energy or the ability to stay focused. This is mostly about being organized and realizing the importance of prospecting. Our data shows that the best salespeople have this attribute - but that data also shows that the worst salespeople have it too! Their #5 is Becoming a Master of Communications which is understanding the importance of communications and being prepared. This is actually one of the few things one can observe from simply interviewing a candidate! It is not a differentiator between the top and bottom performers, just a differentiator between those who are prepared versus not prepared. There is only a one-way correlation between performance and preparation. While those who are successful are always prepared, those who are prepared are not always successful! More important than the difference between the skimpy findings in their assessment is what's missing from their assessment. 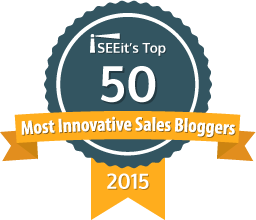 Motivation, Real-World Sales Challenges, Skill Sets, and Predictions. 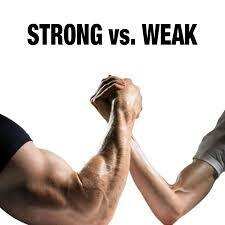 Salespeople can have the skills yet have weaknesses that won't allow them to execute their skills. Salespeople can have skill gaps galore but strengths that allow them to consistently achieve favorable outcomes on pure determination alone. We see strong salespeople - skills and strengths - that lack the desire and commitment to use their skills and strengths. And we see motivated salespeople who have neither the strengths or the skills to succeed. In a nutshell, this assessment is cute, but like every other behavioral styles assessment disguised as a sales assessment, it is not predictive and therefore, has little value as a sales selection tool or a sales development tool. This is a great example of an assessment whose relative cost is as low as the value provided. 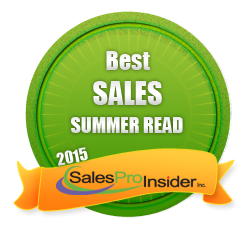 Regular readers know that I like to talk about the science of selling. I don't mean the science of the sales process, strategy and tactics, as much as the science of research, data and proof. There is a science to selling but a more appropriate name for it would be the rules of selling. In Baseball, the rules dictate what you do, when you do it and how it should be done. In Selling, the rules accomplish the same thing. The true science in selling is the research and data that explain performance. In Baseball, a good or bad year, by a team or player, is not explained so much by whether the rules were followed - they probably were - but by the statistics that explain why a good or bad year occurred. We have the same thing in sales and Objective Management Group may have the mother load of that data. OMG has assessment data on nearly 500,000 salespeople and sales managers within nearly 8,500 companies. Whether we look at teams, industries or individuals, we can explain performance as well as what should change (people, systems, processes, strategies, skills sets, competencies, selection criteria, etc.) in order to change the relative performance. In other words, we've simplified the complex analysis required to find answers. We're the sabermaticians of sales! Over the last few years I have written enough articles on the science, data and research of sales to put them into a series. This information is also used to accurately predict whether a sales candidate will succeed in a specific role, at a particular company, in a given industry, and with the unique set of sales challenges they would face selling into their market at this point in time. One guy who embraces the science of sales team performance as much, or maybe even more than me is Bill Eckstrom, founder of EcSell Institute. 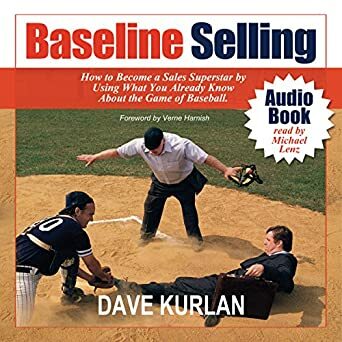 Bill was my guest on yesterday's edition of Meet the Sales Experts and we talked about science and whined for nearly an hour about sales managers who turn a blind eye to it! Bill shared some great analogies, talked about the importance of improving leadership and coaching skills, and shared a great discovery. He used a new application which increased outbound conversations at EcSell Institute from 5/hour to 22/hour! Bill also shared that his members said their #1 most important issue was the ability to identify and acquire talent. Click here to listen to the show. Click here to contact Bill.